We are committed to delivering exceptional quality work, while maintaining budget, schedule goals and excellent customer service. As a full-service property rehabilitation and preservations company, our expertise focuses around maintenance, repair and renovation. If you’ve got a property for sale or rent, we can quickly turn it into a completely habitable structure. At A City Suburban Service, we know the importance of managing all aspects of a project through a single source, because that’s how to maintain a high level of integrity. We have the expertise to manage all aspects of a project, and we know through experience that maintaining a laser-tight focus from the first phase of a project through the final walkthrough is why our clients hold us in high regard. We only bring on employees who have cross-trained in a variety of disciplines and have a commitment to providing only the best customer service. The industry can be fast-paced, but that doesn’t mean we’ll ever lose sight of our clients’ unique needs. With more than two decades of rehab and property preservation experience, we stand out as the qualified contractor. We keep our standards high, which is why our customers are so loyal. We’re not satisfied unless the customer is pleased with our work. In fact, we strive to go beyond what’s expected of us, which is why we are confident in guaranteeing all our work. We aren’t the kind of company that blindly hires independent contractors; we bring in full-time employees that we know and trust. This allows us to have total confidence in our work while also keeping costs manageable for our clients. Timelines are important for our clients, which is why we offer guarantees on when we will finish a job. Furthermore, we’ll keep our schedules as flexible as our clients require. Every customer has different needs, so check out our services and see which one fits your unique situation. 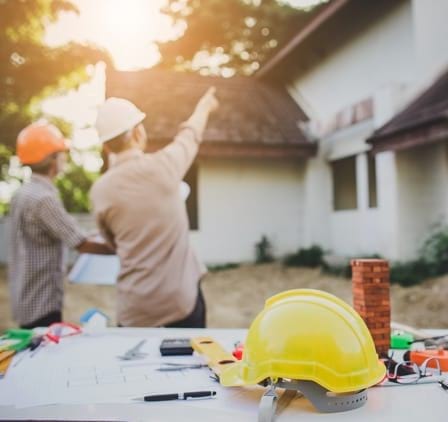 Your property might need some minor cleanup or it could be a near-disaster, but regardless of its condition, our staff has the training and experience necessary to tackle any project. From assessing damage to offering a comprehensive cost analysis, we’ve got you covered. If it’s customer service, distinctive quality and unprecedented attention to detail that you want in your rehab and preservation specialist, you need to contact A City Suburban Services. For more than 20 years, our expert staff has amassed the kind of experience that makes us the go-to preservation, rehab and maintenance specialists in Illinois, Indiana and Wisconsin. Contact us today and let’s talk about your project and how our services will be a perfect match.